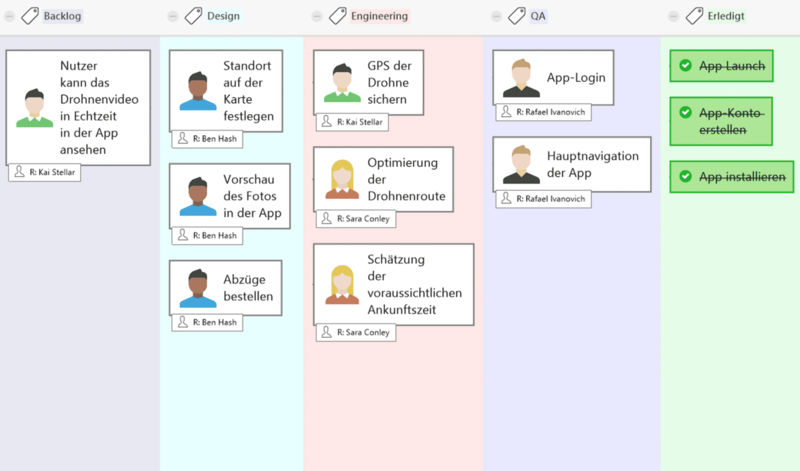 Next Story What is a Kanban Board? Why and When to Use Kanban? 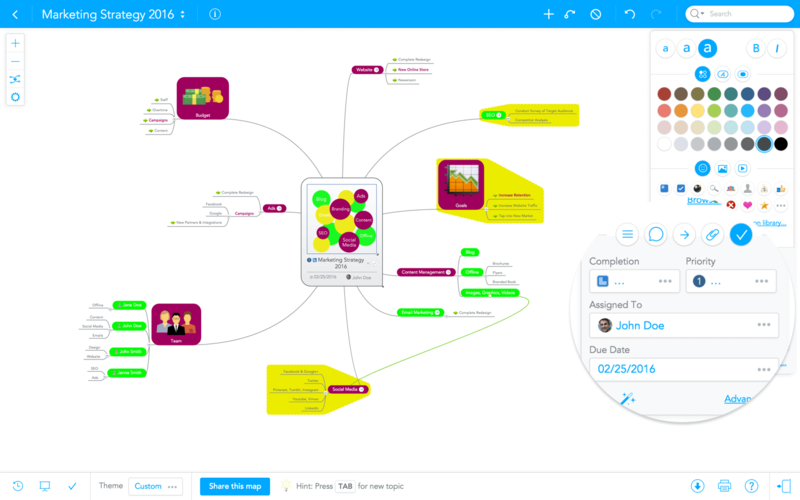 11 of the best mind mapping software and mind map tools reviewed. Sacrificing time to write down ideas is a good way to remember them but sometimes just remembering them is not enough. You need to share and visualize ideas at times, and present them to others. Writing out the entire thought process can be an overwhelming task. This is where digital mind mapping apps can offer you the flexibility that a piece of paper can’t. They can organize, structure and visualize your thought process. So, I decided to write about the best mind mapping software you can find out there on the internet today. 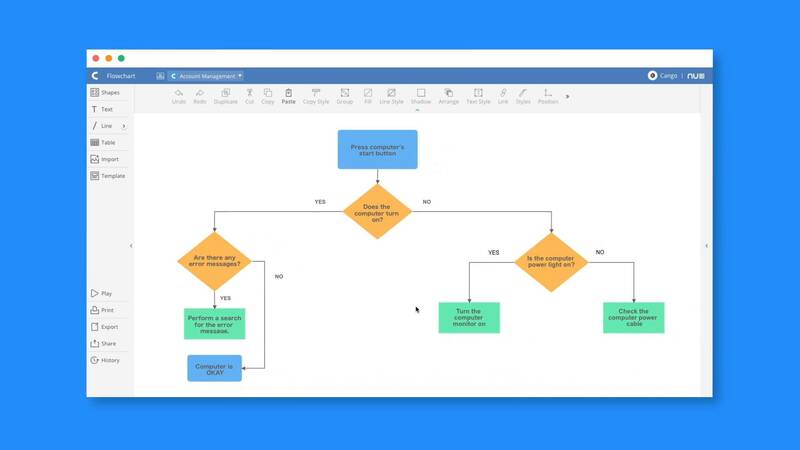 From simple flowcharts to complex diagrams, Lucidchart has something for all kinds of mind mapping needs. It has numerous templates to get started quickly, making easier to create professional diagrams and collaborate with your team. There are great features, like real-time collaboration, change and history management, team and access management, native apps for Windows, macOS and Linux, hundreds of available integrations and much more that make teamwork a breeze in Lucidchart. Another powerful feature that Lucidchart has its data linking capabilities. With data linking, users can connect their shapes and diagrams to live data stored in spreadsheets. Any changes made to the live data present in the spreadsheets are automatically reflected in your charts and diagrams, saving you lots of time and unwanted manual work. With over 15 million users, Lucidchart ranks #1 on my list of the best free mind mapping software. Second on our list of the best mind mapping software is MindMeister, a great tool to visualize and present thoughts and manage ideas. It has over 9 million users taking notes, planning projects and brainstorming tasks. With MindMeister, you can create and share mind maps, customize them with different styles, icons and images, add notes, links and tasks to your tasks and more. 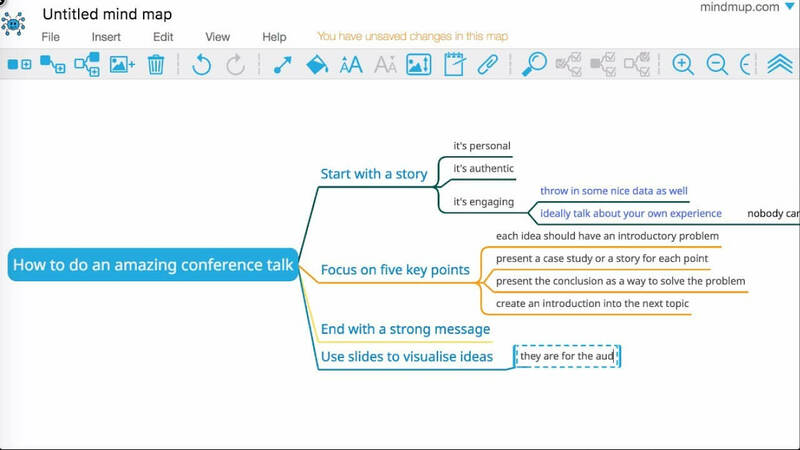 There is also a presentation mode to visually present your mind map using engaging animations. You also get other team collaboration features, such as team chat, usage statistics and reports. Overall, MindMeister is a great mind mapping tool and its simple, easy-to-use interface places it at the top of our list of the best mind map software. Next up – XMind. I heard about this tool and its mind mapping capabilities from a few friends, so decided to check it out. It doesn’t disappoint one bit – the interface is intuitive, the design is very user-friendly, and the platform is powered by useful tools for mind mapping, brainstorming and collaboration. There are two variations for XMind, and you can choose the mind mapping software that best fits your needs. 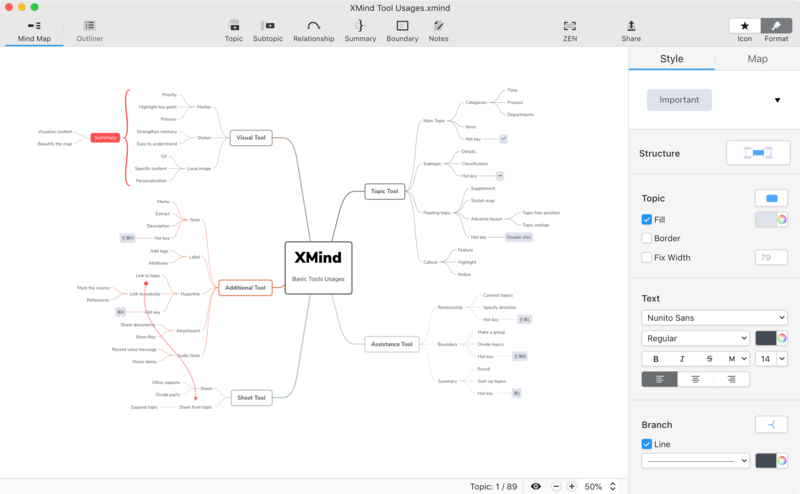 XMind: ZEN is available with all the necessary features needed to organize thoughts and ideas. For advanced collaboration, you can opt in for the full-fledged product, the XMind 8 Pro. XMind: ZEN requires a subscription plan whereas the XMind 8 Pro is available as a perpetual license. On the Free trial, you get limited access to features. Special discounts available for students, non-profits, early-age startups and educators. #4 on this list of the best mind mapping software is Mindomo. 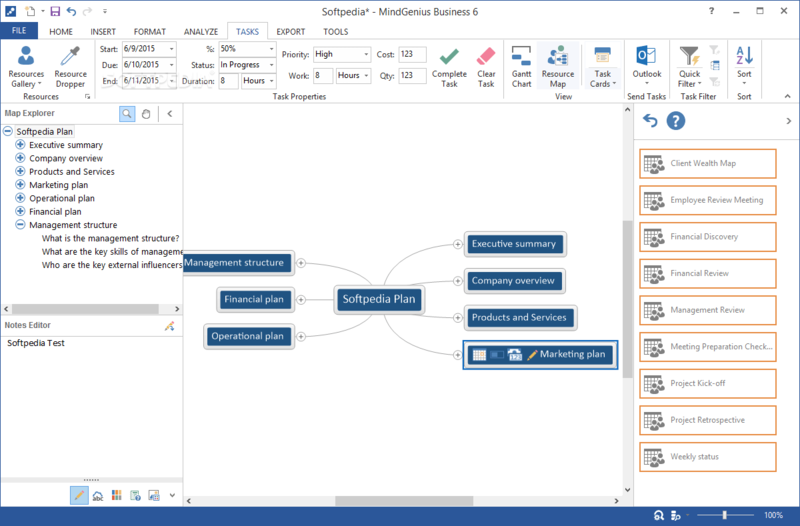 A mind mapping tool that can be used to create concept maps, manage tasks and projects, collaborate, create outlines and more – Mindomo has everything you will expect from a mind map software. One thing that I like about Mindomo is its ability to integrate with tons of other apps. Be it cloud storage services, education apps, learning management systems; Mindomo is one of the best free mind map software to offer native integrations for a range of different platforms. Cacoo is an online drawing software trusted by over 2 million users that can help users create diagrams. It is a product of Nulab, a software company from Japan. Cacoo lets you and your team create organization charts, wireframes, sitemaps, mind maps, and more. Cacoo offers integrations with other apps like Confluence, Google Drive and Dropbox, among others. Cacoo is offered in user packages. The pricing starts with a minimum of 3 users at $5 per user/month. Individual users can sign up for Cacoo at $4.95 per month. There is no Free plan for teams, however, single users can sign up for a Free plan that offers 6 diagrams, up to 3 collaborators, basic PNG export and 500 KB upload limit. 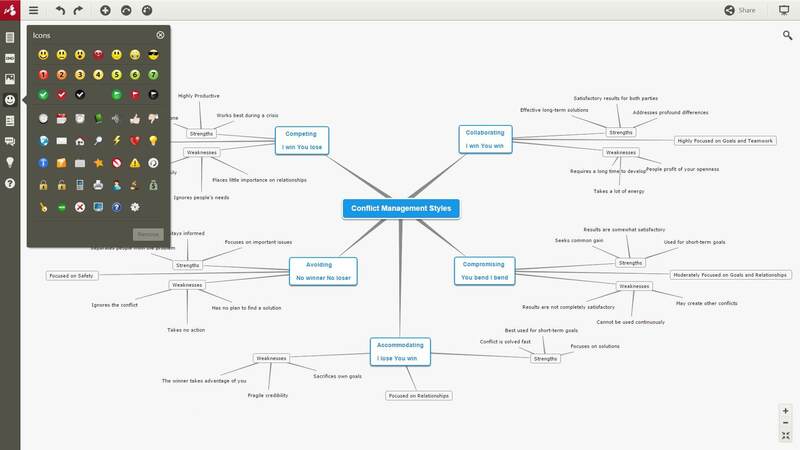 Next on my list of the best mind mapping software is MindManager, a product of MindJet. You can use MindManager for brainstorming, organizing thoughts, presenting business plans, managing tasks and projects, and more. You can create timelines, organize tasks to do and projects to deliver, schedule follow-ups, and lots more. Because of the extensive feature set, MindManager is best suited for seasoned professionals and project teams who would like to collaborate to meet set goals. Coggle is a mind mapping software that makes it easy to visualizes complex information, processes, systems and flowcharts. There are text boxes, unlimited image uploads, real-time collaboration for mind maps, loops/branches, flowcharting and multiple starting points, along with various other useful features. Coggle works online on your browser – no setup required, simply log in and start using it. It has an iOS and an Android app so you can take your mind maps with you on the go. One thing, however, is that Coggle only allows you to keep 3 private diagrams on the Free plan – rest are all public. 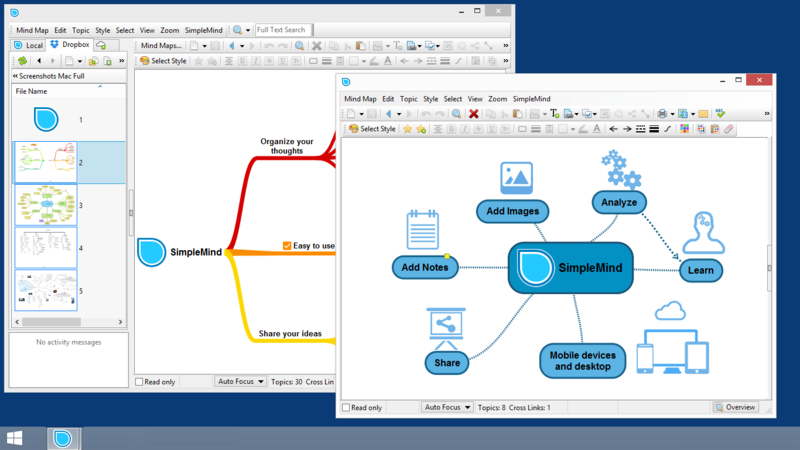 On #8 for this roundup of the best mind mapping software, it is MindMup. With this tool, you can add notes and attachments to your mind maps, create storyboards, add measurements to nodes and use it as a project management tool, and more. A great add-on with MindMup is its social sharing feature. Simply publish your online mind map, and then use the social sharing within MindMup and it will automatically add contextual information to your mind maps. MindGenius lets you create work breakdowns of your project structure from your plan with ease. You can breakdown ideas and understand the goal of the project. It comes with a collection of mind mapping templates to implement your ideas faster. What is special about MindGenius is that it does not only offer strong features for mind mapping and idea management, but also as a project management software. MindGenius claims it has 6 tools built inside one platform so you won’t have to juggle between tools to get things done as a project team. You can arrange your plans using appealing photos from MindGenius image library. Whether you are a beginner or a professional designer, SmartDraw is just the right tool for you. It’s a diagram software that gives you hundreds of templates and ability to share diagrams. This mind mapping software also makes it easy to quickly create quality diagrams, thanks to its vast library of templates and useful integration options. Because it is a diagram software, you can do much more with SmartDraw than just create mind maps and structure your thoughts. 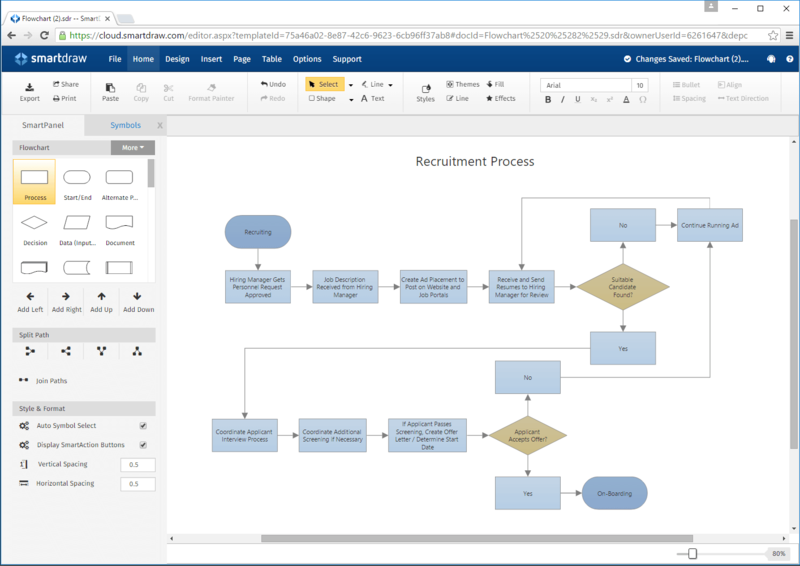 You can create flowcharts, floor plans and tons of other diagrams. This diversity is really needed when you’re a creative or design team. 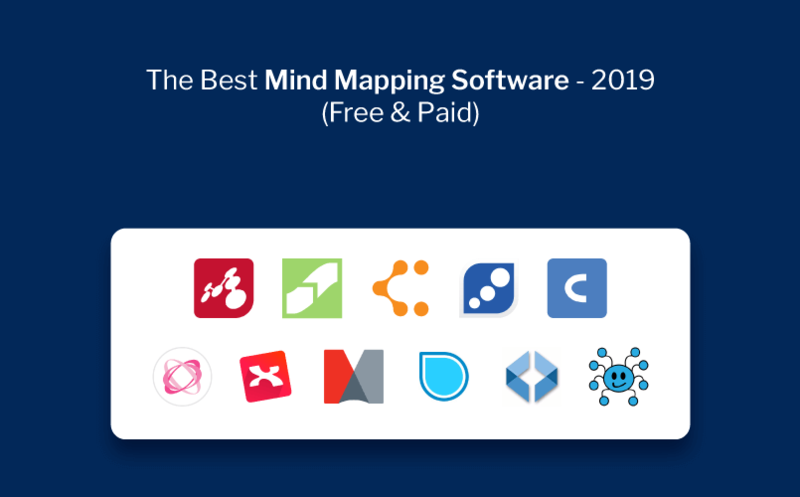 SmartDraw ranks #11 on this roundup of the best mind map software for 2019. The last tool on my list of the best free online mind mapping software is SimpleMind, an online diagram and mapping software that provides a limitless canvas to put all your thoughts and maps on a single page. Create as many maps as you want, use as many shapes and icons, and SimpleMind will allow you to put everything on a single canvas if you’d like. From daily itineraries to business tasks, SimpleMind can be used as a productivity app to manage tasks at hand. SimpleMind has various pricing plans based on the platform of your choice and your team size. Further information can be found on their pricing page. So, this brings us to the end of our roundup. Which is the best mind mapping software for you? Which one did you like the most, which one least met your requirements? Let me know in the comments below. Our online diagramming tool Creately also supports mind maps and we have many mind map templates which allow our users to create the mind map of their choice. Plus we have some cool features object linking which allows your nodes to be linked to external pages/sites. 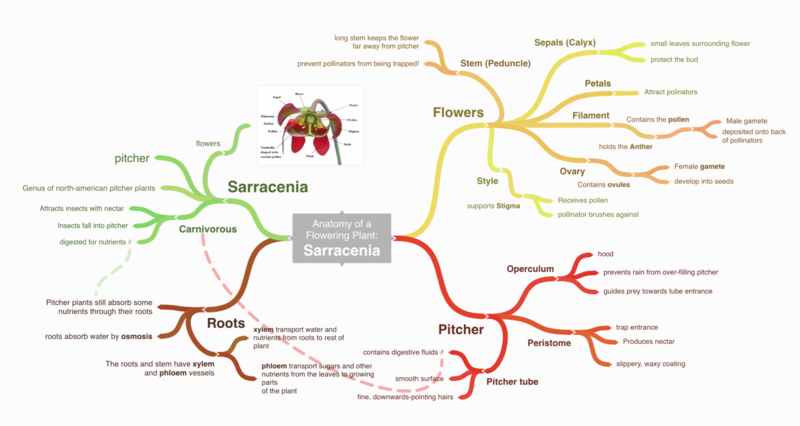 This allows you to create data-rich mindmaps without cluttering the interface. And the links are preserved if you export it as a PDF. Check out Creately and consider adding it to the list.